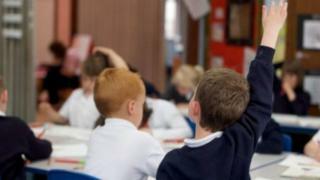 Ten new schools will be built and more than 1,400 pupil places added in Suffolk over the next decade. Six existing primary schools and two high schools will be expanded under Suffolk County Council's plans to add capacity for growing communities. The aim is to have the schools in place by 2029, but progress will depend on the rate at which new housing is built. The plans were revealed by education cabinet member Gordon Jones at the council's scrutiny committee. Sybil Andrews Academy in Bury could double its capacity from 600 to 1,200, while Copleston High School in Ipswich will take another 200 students, including 50 sixth-formers, reports the Local Democracy Reporting Service. The new primary schools are being planned for Thurston, Trimley, Lakenheath, Woolpit, Bury St Edmunds, Bacton, Haverhill and the Ipswich Garden Suburb development, where it will be combined with a high school. An "all-through" school for four to 16-year-olds is expected to be built for the 2,000-home Adastral Park development in Martlesham, while a 60-place special school on the former Holywells High School site in east Ipswich will be for primary and secondary pupils. The capacity of the new schools will be determined in some cases by the number of houses, with a 1,000-home development typically bringing 250 primary pupils. Expansion work is expected over the next two or three years, dependent upon housing. On new schools, a county council spokesman said: "We are working on early initial designs - some are sitting there because we are waiting for housing to start. We have got lots more that are coming forward after that."